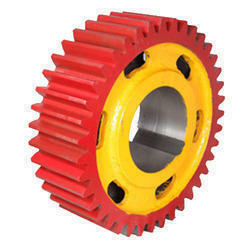 We are a leading Manufacturer of industrial ring gears, helical gear, ground gear, grinded helical gear, girth gears and industrial gears from Patiala, India. 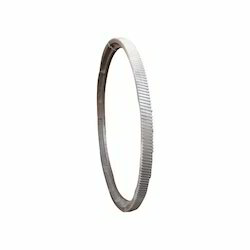 For the purpose of providing maximum satisfaction to our clients, we engage in the utilization of high grade raw materials and modern machines, in compliance with the set industry norms and guidelines, for manufacturing this Ring Gears. Owing to this, the product’s dimensional accuracy, sturdiness and resistance to corrosion is quite high. In order to provide maximum satisfaction to our clients, we engage in the utilization of high grade raw materials and modern machines, in compliance with the set industry norms and guidelines, for manufacturing this range of Helical Gear. Because of this, the offered range’s sturdiness, durability and resistance to corrosion, is quite high. 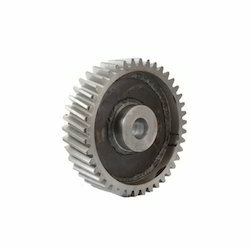 Being one of the leading manufacturers and suppliers of this commendable range of Grinded Gear, we work hard to maintain its quality. Thus we engage in the utilization of high grade raw materials and modern machines, in compliance with the set industry norms and guidelines. Owing to this, the product’s sturdiness, durability, resistance to corrosion and dimensional accuracy is widely acclaimed. Gears Used in Conveyors, Elevators, kilns, cranes, lubrication systems, lifting, rotating. Manufactured in compliance with the set industry norms and guidelines, quality of this Grinded Helical Gear never deteriorates. The finest raw materials and modern machines, applied in its making, gives the product superior sturdiness, durability, resistance to corrosion and dimensional accuracy. in addition, the offered range is quite easy to install and maintain. 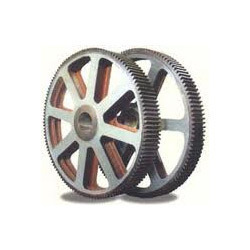 We are considered in the market to be one of the leading manufacturers and suppliers of this highly commendable range of Girth Gears. Manufactured in compliance with the set industry norms and guidelines, utilizing quality raw materials and modern machines, its quality never deteriorates. In addition, the offered Ring Gears range is marked at the most reasonable rate possible, making it highly asked for. 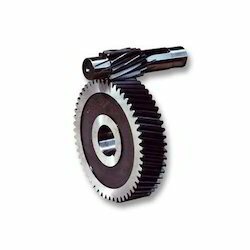 Common Applications : These type of gears are used in different industrial sectors like Cement Plants, Sponge Iron Plants, Sugar Mills, Fertilizer Plants, Mineral Plants, Chemical Plants, Thermal Power Station, Paper Mills, Steel Rolling Plants, Mining Industry, Textile Plants, Machine Tools, Material Handing Equipment. 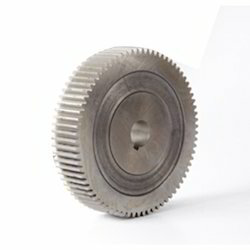 With its superior dimensional accuracy, sturdiness, durability and resistance to corrosion, the offered range of Industrial Gears is known to be one of the primary preferences in the market. Manufactured in compliance with the set industry norms and guidelines, its quality never deteriorates. In addition, the offered range is marked t the most reasonable rate possible. 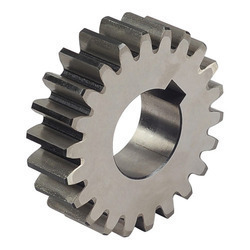 Being one of the leading manufacturers and suppliers of this range of Precision Gears, we engage in the utilization of high grade raw materials and modern machines. Owing to this, the offered product is known to have a superior sturdiness, durability and resistance to corrosion. Further, the offered range is priced at the most reasonable rate possible, making it highly asked for.